I have been so busy with the website this month, that I almost missed the Hero Arts contest. 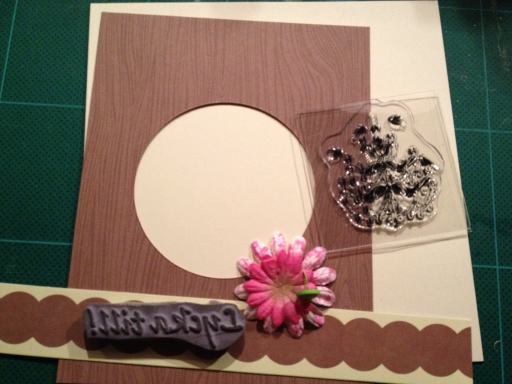 But I wanted to make a card for my parents who have moved to a new flat. 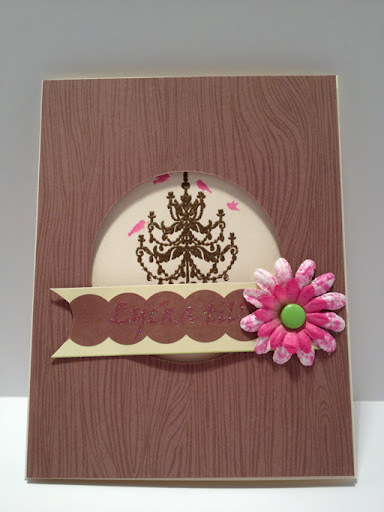 I wanted to use the free stamp that I got with Craft Stamper, and thought it would look great with the HA Woodgrain digi. So I got inspired by one of the design challenges, and made a bird home in a tree. Here is the stuff I used. I first stamped the HA Houndstooth bg as a wallpaper, and then stamped the lamp and embossed it with gold. 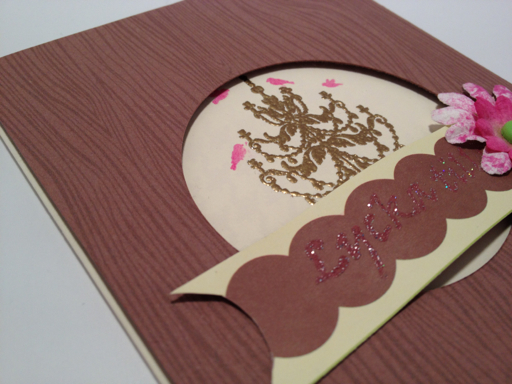 Then I restamped only the birds in pink. 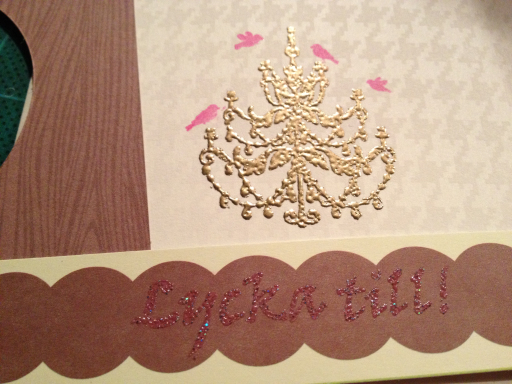 And stamped the Lycka till (Good luck) in pink with Hologram embossing powder. Then I assembled the front with 3D-foam, and made the banner a bit more 3D. Fastened it with the brad at the center of the flowers. Here is a close-up.